More like staying in a private home than a hotel !! very good overall, owner very accommodating to customers special requests. TV had come off wall bracket and not replaced. Twin room not quite big enough for two people. Excellent service, location, amazing value. I have stayed a second night now. James was fantastic. Thanks for looking after me and letting me into my room early. The cheap breakfast was great. I will return! I am very happy with my recent stay at Magnolia Court. The staff are courteous and friendly. It is a good bonus that breakfast is included in the rate. The location is ideal for events at Rod Laver Arena, the MCG etc. Lovely Hotel, romantic old building. And ridiculously cheap for it's great location. 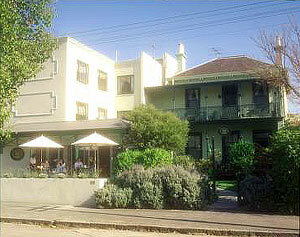 Great location, charming building, quiet hotel, good breakfast, very helpful and kind staff. We enjoyed our stay. It was a wonderful time. Very comfortable and homely. Very close to the tennis. In a beautiful area in Melbourne. The staff were very friendly and helpful. Would love to come again. Very close to the MCG and the city. The staff are very helpful, the rooms are clean and the breakfast is yummy. Great. Comfortable and good service. Thank you. Good value, great location, helpful staff. Thank you. Yet another great stay among the lavender. It is always perfect i have stayed many times and we always come back the cottage is beautiful but the standard room although basic is clean and comfy and the service is a1. The breakfast is excellent. It was good for what we wanted, close to Rod Laver. Very clean and helpful staff. Tired building. We enjoyed our stay at Magnolia Court Hotel. The location was just right for us being close to the MCG, it was quiet and the breakfast was great. We had a really enjoyable stay and will recommend Magnlia Court to others. Our room was small but clean and comfortable and, with breakfast and parking included, represented great value for money. The location is superb, especially for those going to sport and for those who enjoy the gardens nearby. The staff were friendly, efficient and helpful. We really enjoyed our stay and the balcony room provided us with extra space. The ability to park our car was appreciated. Very happy in all aspects of our stay. Everything was as expected as we have stayed before. The room was relaxing and the breakfast was very nice and yummy.l love the pancakes.the pancakes could be a little bigger but still very good. Great location with easy access to the sporting precincts of Melbourne and a short walk to the CBD. Enjoyed the stay but the wife found the pillows a bit hard. Great hotel, excellent breakfasts, close to city. I really loved the location and the friendly staff! © Copyright – Magnolia Court Boutique Hotel All Rights Reserved.